Hi there! I'm Chula, and I am the sweetest little 14-year-old kitty. I am a gorgeous girl, aged to perfection. I love attention, and don't mind sharing it with other gentle cats or dogs. I am healthy for an old girl, just have some arthritis in my front leg that causes me to walk a little silly. I am sure to bring a smile to your face as I saunter over to you to happily greet you when you come home. I have so much love to give still, and I am waiting patiently for that special someone to share my golden years with. Is it you? Adoption fee is $75. All of our senior cats are spay/neutered, vaccinated, microchipped, and have tested negative for FIV and Feline Leukemia unless otherwise noted. They have tested negative for parasites. All cats have had a full geriatric exam upon entrance to Young at Heart, which includes a full geriatric blood work up. Dentals, lump removals, etc are all done whenever necessary. Any known medical conditions are fully disclosed, and adopters are provided with all medical records. Just like people, cats age, and geriatric conditions and other medical ailments may arise after adoption. 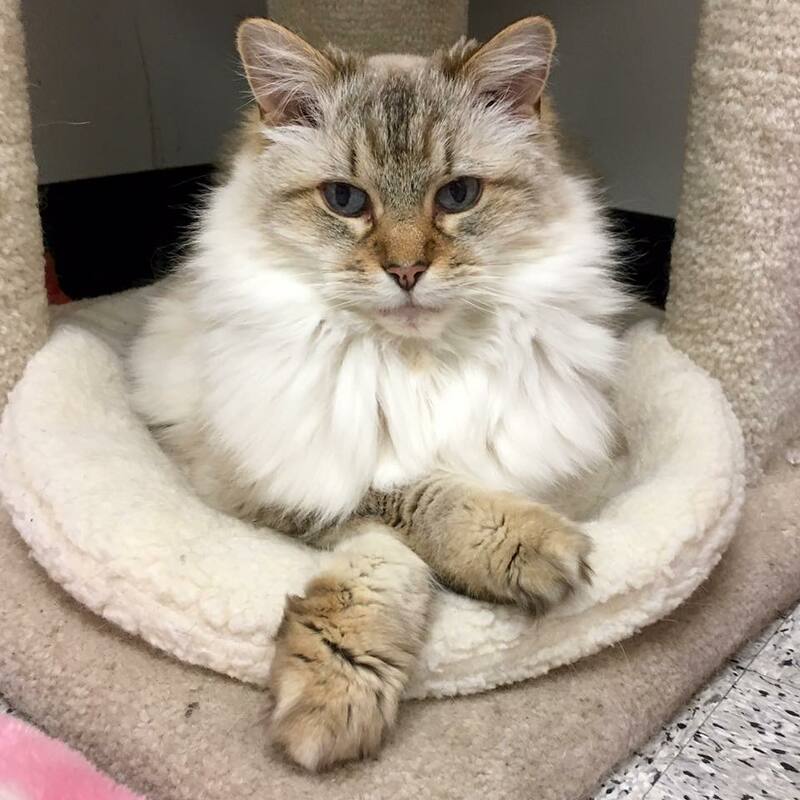 All cats are housed at the Petco in Lake Zurich IL courtesy of the Petco Foundation's grant to Young at Heart, at our small cageless adoption center at Best Friends Pet Care in Lincolnshire IL or in private foster homes within the Chicago area. We welcome out of state adopters that have stellar veterinary references, however we do not ship our sweet old kitties - you have to come here to meet them.